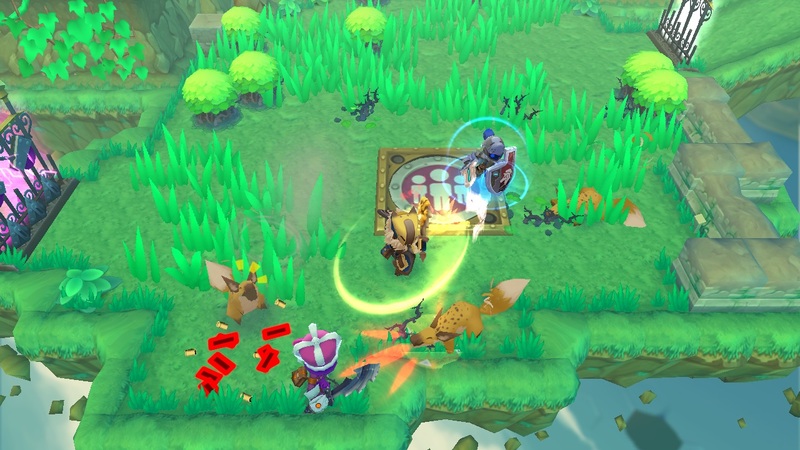 Spiral Knights is one of the first free to play titles that came to Steam. The game is regularly being updated and has since been improved a lot. This review will cover mostly the most up to date version of the game with a brief history of what it used to be. Spiral Knights existed before Steam but the community expanded a lot since the game was integrated with Steamworks. When the game was released (and only until recently) the main premium currency was Energy. Players could buy energy with real money and then use it mainly to buy better equipment or explore dungeons. Players received 100 "Mist Energy" daily which could be used to explore dungeons. Each dungeon required 10 energy to enter. Also, opening certain gates or activating robots that aid the player required some energy and when playing for about an hour you ran out of mist energy and you had to wait until the next day or buy some more. Although it was possible to also buy energy from other players with the in-game currency called "crowns", you needed a ridiculous amount of them and mostly you didn&apos;t want to wait that long to play the game. Nowadays, entering dungeons is free. Endless gameplay is guaranteed as there is no more use for energy. Mist energy was also removed since there wasn&apos;t any need for it anymore. But energy hasn&apos;t been removed completely, if you want to buy armor/weapons or any crafting material then you&apos;ll still have to use that good ol&apos; energy, it&apos;s also still possible to buy them with crowns. Basically, energy is there for impatient people. The old interface, few weeks after the release on Steam. The game itself is a colorful adventure that is great to play with some friends. You explore dungeons in search of treasure and with every raided dungeon you venture deeper in a journey to the core of the planet (a.k.a. the clockworks). That is if you&apos;re not playing a mission. Missions are a fixed set of 2-3 dungeons or small tasks that in a whole give a small backstory to Spiral Knights. The last mission of a chapter is mostly always a boss battle and boy they can be hard. If not unbeatable on your own. If that&apos;s the case then you&apos;ll probably need a team of players or better gear. There&apos;s always a easier way out but it requires friends or wealth... or both. The difficulty of the game depends on the gear you have, there&apos;s little to no real character leveling, except for your little pet which levels up like gear does (read on to understand). All gear is rated with 0 to 5 stars which indicate the toughness of the item. For every "star rating", there&apos;s also a 1-10 level. This level can be upgraded by collecting "heat" from slain enemies or treasure chests. When the heat meter is filled you can upgrade the weapon to the next level, if you provide enough fire crystals. If you want to upgrade the star rating of the weapon then you&apos;ll need to obtain "alchemy orbs" of the appropriate level + some materials and the precursor of the item you want the upgrade with at least heat level 5. If this is to difficult to understand in plain text, below is a more comprehensive explanation with an example of a four star item. This game has more to offer than only dungeon raiding. 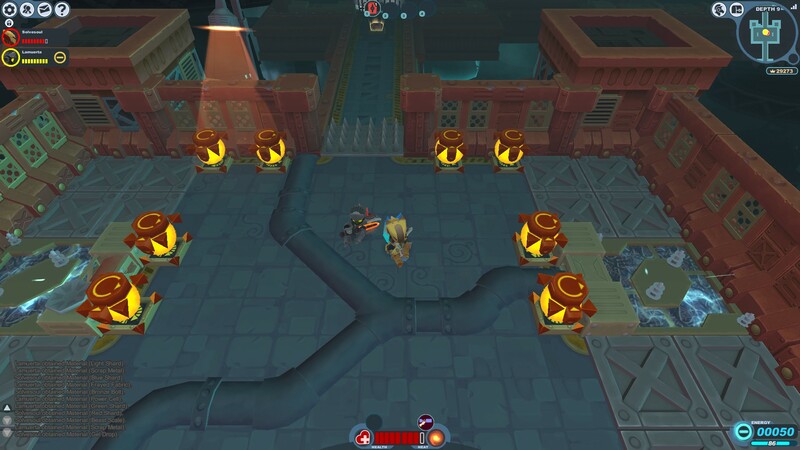 There&apos;s a bomberman inspired mini-game and there&apos;s PvP. PvP is sadly only so that the person with the best gear wins. This is where the Pay to Win aspect is the highest, this means that you have to pay to actually win the game. Note that of course, some skill is required to win PvP fights. I&apos;ve never played the bomberman game so I cannot share my opinion. The most fun aspect of all the content in Spiral Knights is playing with your friends. Playing alone can be dull and will make you wish that you were playing with friends. But play Spiral Knights and you&apos;ll have a blast! Whilst I played with friends, I did notice that my mates either loved it or hated it. They might even disagree with the score I&apos;m giving Spiral Knights but in all objectiveness: the game has a great visual style, is updated reguraly and has a great community. Playing with friends is great! Talking about being updated regularly, Spiral has great Holiday events too. Whether it&apos;s in-game or via the Steam community (Steam Holiday Sale 2013). The missions are often short mini-games that reward you with tokens. These tokens can be used for unique holiday-themed rewards and assets. Of course, Three Rings encourages you to grind a bit on these missions but after all the efforts you can show off your full holiday attire. This game is so huge that I would just keep on reviewing things. Also note that this review was written on the 3rd of January 2014 so things can and will change to Spiral Knights. If you read this a few years in the future then this might be outdated. This been said I can only say one thing: Spiral Knights is free and you have nothing to lose if you want to try it out, go for it!